With 25 years of experience at Pentana Solutions Dave McLeod has worked across many different dealer management systems and even more dealership sites. He started this year by turning his attention to a segment of the dealership that drives competitive advantage – Business Intelligence. 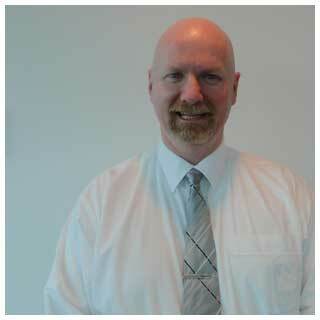 His focus will be working closely with key management within dealerships across Australia and New Zealand. In your 25 years with Pentana Solutions you have held a variety of roles, how does this experience feed into your current role as a Business Intelligence Consultant? I am a qualified programmer and analytical by nature. I not only want to know what, but how and why things occur in dealerships. Business Intelligence fills in more parts of the jigsaw puzzle called business than any other conventional method or tool available. Speed and accuracy of information is crucial to making good decisions. In 25 years, the current mix of Pentana Solutions Business Intelligence product is the best the company has offered. Executive ERA in particular, is hands down the best whole dealership, or dealership group management tool I’ve seen. What’s your goal in this new role? To have dealers see, understand and yield tangible value from my role in their business and to learn how to best utilise Executive ERA going forward. What gives you a unique perspective on a dealerships Business Intelligence numbers? I combine the ability to explain the technical in layman’s terms with business knowledge to deliver revenue opportunity, time savings and cost savings solutions. They’re not just ‘Financials’, I see actuals and budgets, trended results, inventory management issues, KPI’s, conversion ratios, obsolescence challenges, gross margins and salesperson performance. What gets you excited about Business Intelligence and Executive ERA in particular? Time management is crucial for high level business drivers within the dealership space. With Executive ERA you can get a clear understanding on how your business is currently operating and the trends it shows (upwards, downwards, consistent) in a matter of minutes. It empowers you to make decisions quickly and accurately about areas of your business that need improving or simply tweaking. Best of all this can be done anytime of the day or night at the click of a mouse. What’s the biggest change (from before to after) you’ve seen after a consultation project around BI? Actually, I couldn’t wittle it down to just one thing. There are probably three big changes that I see after a consulting piece. Accountability for managers. If it isn’t in ERA, it doesn’t exist. Speed and accuracy of information that enables habits to be changed. Clients fresh off a consulting project know the moment a gross margin drops below a certain percentage. They rectify problems immediately which in turn changes habits and processes within the dealership as they occur, not weeks or months afterwards. My clients spend time analysing the results rather than preparing the numbers. The proof is in the pudding. One dealer I worked with saved hundreds of thousands of dollars in floorplan each year by stocking the correct model mix down to colour. Another, who made good margins on used Honda CRV’s identified they were no longer stocking one of their most profitable carlines. When questioning the buyer, he indicated they were selling at the auctions for $600 - $800 more than he was willing to pay. Executive ERA highlighted the margin and ROI being made on these and it far exceeded the additional cost for purchase. They seek to stock these now. Further to our last question, if there was one thing you would encourage all Executive ERA users to pay attention to or try what would it be? I would ask them to pay attention to Outliers - exceptions to the norm. Be aware and keep on top of these anomalies to ensure you get the best result for a month. Do that daily or weekly and the impact at the EOFY will be huge for their business. GP%’s, ROI’s, KPI’s – very measurable and will impact the bottom line. Then I would advise they try ‘Slicing and Dicing’. It’s easy to do – and empowers the user to view results from a variety of different perspectives at the drag and drop of a mouse movement. If you’re an Executive ERA or DealerPRO user we urge you to invite David to your dealership to take your business intelligence processes to the next level .